A striking addition to an island or bar, this sink features a flat rim for optional undermount installation. It's simple and elegant form is suited to a wide range of kitchen decors and faucet styles - traditional or contemporary. Designed and made in Germany to Blanco exacting standards of quality and craftsmanship. An effective solution to keeping your kitchen clean, drainboards provide a food preparation area designed to allow liquids to flow directly into the bowl and not onto the countertop. Sinks with integrated drainboards are particularly desirable when the countertop is made from a porous material. This versatile sink can be installed as a drop-in or undermount. 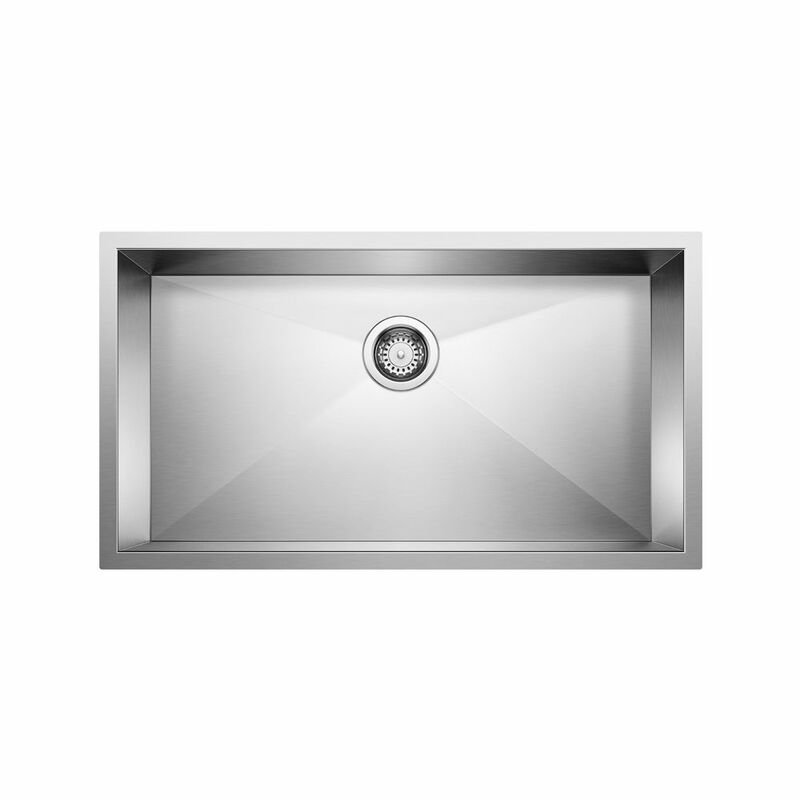 Quatrus U1 Maxi, Stainless Steel Sink, Single Large Bowl Undermount Designed in Germany to Blanco's exacting standards of performance and quality. The BLANCO QUATRUS family offers traditional quality as well as many signature BLANCO features at an exceptional price.